Whew! What a busy week! We have so many giveaways it is hard to keep up! 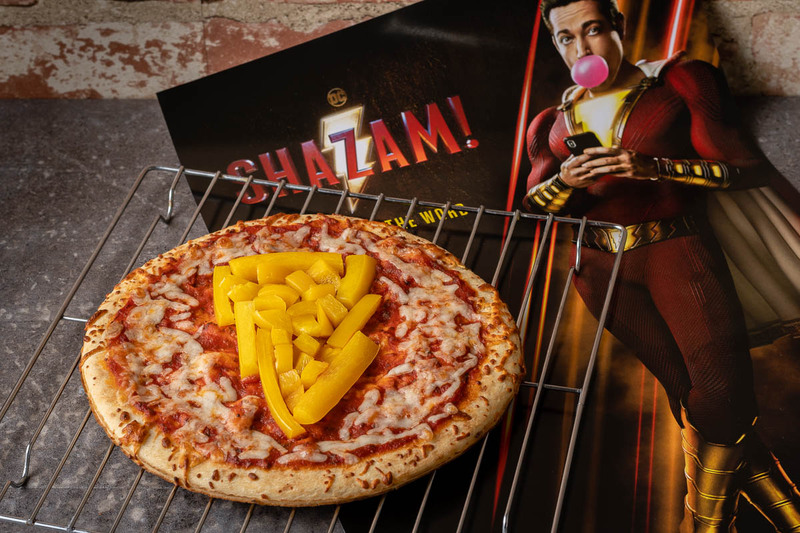 Up next we have a recipe and giveaway for Shazam! DC’s latest comic book movie. To celebrate the release, we’ve created a Shazam! themed pizza that both kids and adults alike will enjoy, our Say the Word Pizza! We created our Say the Word Pizza because most teenagers like pizza. However, as adults we know we can’t eat all of that unhealthy food. Therefore, we created a pizza with a nice balance between the two. We used yellow bell peppers as the topping because they are a less bitter when they are cooked. Additionally, we used only a light coating of cheese to save on calories and fat! The result is still tasty but with less guilt! Now that you have a delicious and mostly heathy pizza recipe, here is the fun part! We are giving away 10 pairs of VIP Screening Passes to an advanced showing of Shazam! The showing will be held at Arizona Mills IMAX on Monday, April 1st. The screening starts at 7 pm and the winners should arrive at 6:15 in order to guarantee their seating. Winners will be selected on Friday, March 29th at 4:00 pm. We are doing this contest a bit differently. 5 pairs will be given away will be selected via Rafflecopter and 5 will be selected from the Instagram post! Good luck! 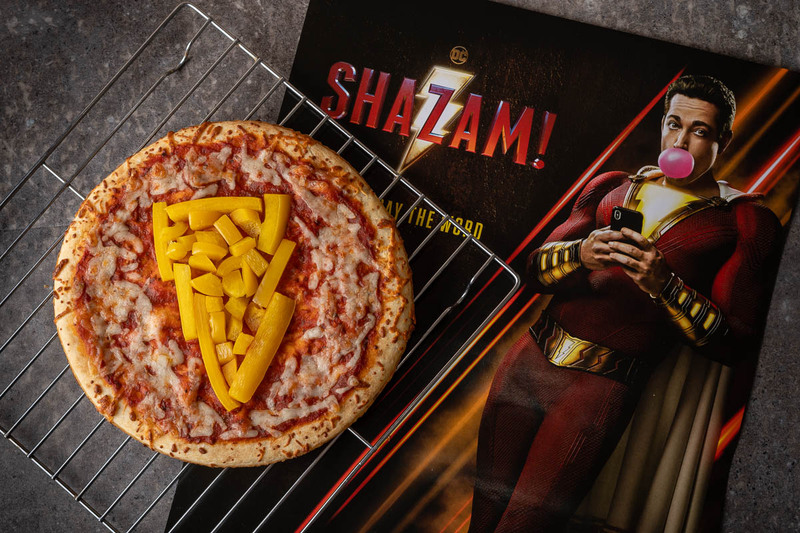 Channel your inner teenager with this delicious and healthyish Shazam! inspired recipe for Say the Word Pizza created by The Geeks! Create your lightning bolt with yellow bell pepper. Arrange the cheese around the bolt leaving some of the red sauce exposed.